Opera inevitably deals with characters caught in larger-than-life emotional or political turmoil. But in the case of John Adams’s Doctor Atomic, the subject matter is particularly compelling. 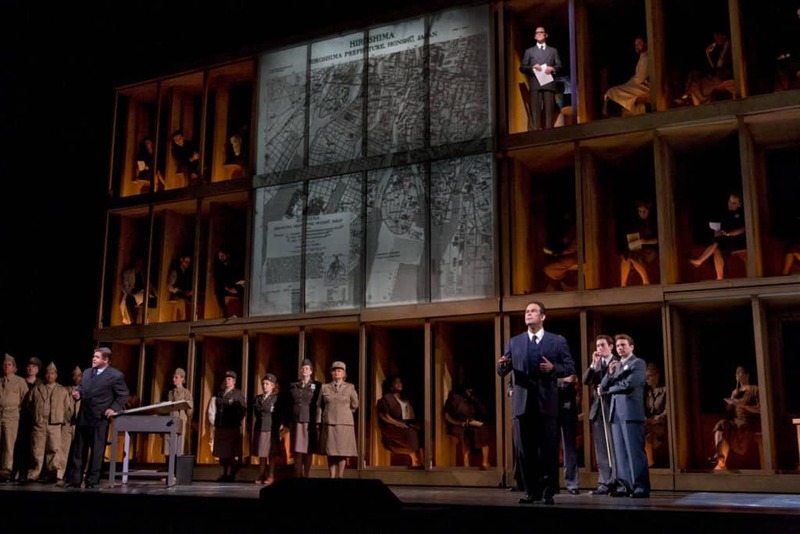 The opera, which premiered at New York’s Metropolitan Opera in 2008, was directed by acclaimed filmmaker Penny Woolcock, conducted by Alan Gilbert, and dramatizes a modern-day event of truly epic implications: the inauguration of the nuclear era with the first atomic bomb test during the tense final summer of World War II. Adams, one of today’s most successful and frequently performed composers, has developed a reputation for mining the tremendous mythic and symbolic potential of contemporary stories and events. At the same time, his colorful and sensuous music appeals to audiences in a way rarely achieved by a 21st-century composer. 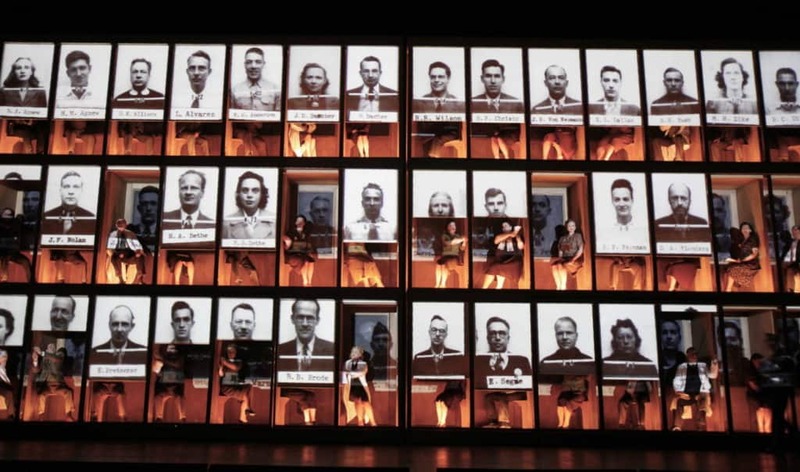 59 Productions, once again working with scenic designer and long-time collaborator Julian Crouch supported his powerful sonic identity with complex layers of projection that brought Oppenheimer’s designs, diagrams and sketches to life. Touring to London in 2009, Dr Atomic was met with critical acclaim and eager audiences. The look of Penny Woolcock’s excellent staging, designed by Julian Crouch, beautifully complements the musico-dramatic thrust of Adams’ work. With the sculptural look of an art installation (which was its inspiration) fragments of debris hang suspended, as if mid-explosion, while tented sheets rise up to invoke the desert mountain ranges of New Mexico. Tiered boxes house the Los Alamos project personnel as if they themselves are the objects of experimentation – human guinea pigs. Videos of scientific formulae (Fifty-Nine Productions) play on every surface; at one point, a map of Hiroshima eerily burns. Adams’s portrayal of the events leading up to the testing of the first atomic bomb in the New Mexico desert in July 1945 is far more convincing musically and dramatically than it seemed at its premiere. Woolcock’s naturalistic staging, with designs by Julian Crouch and carefully gauged video projections, is far less cluttered and tendentious than Sellars’s original, doing away entirely with the mimsy, inappropriate choreography. If a work forces you, simultaneously and uncomfortably, to clench your limbs and hold your breath, you have to take notice… If the earth didn’t move for you, it did for me.